Our stainless steel jigsaw cufflinks are the perfect gift for Father's Day or that special man in your life that you absolutely love to pieces! 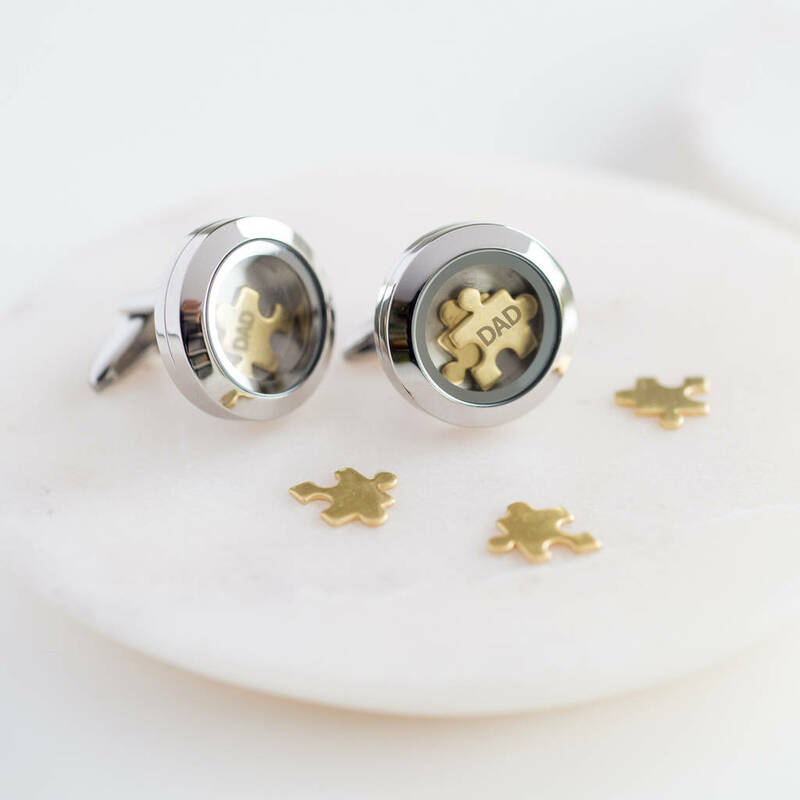 Our handsome cufflinks remind him how much you love him. 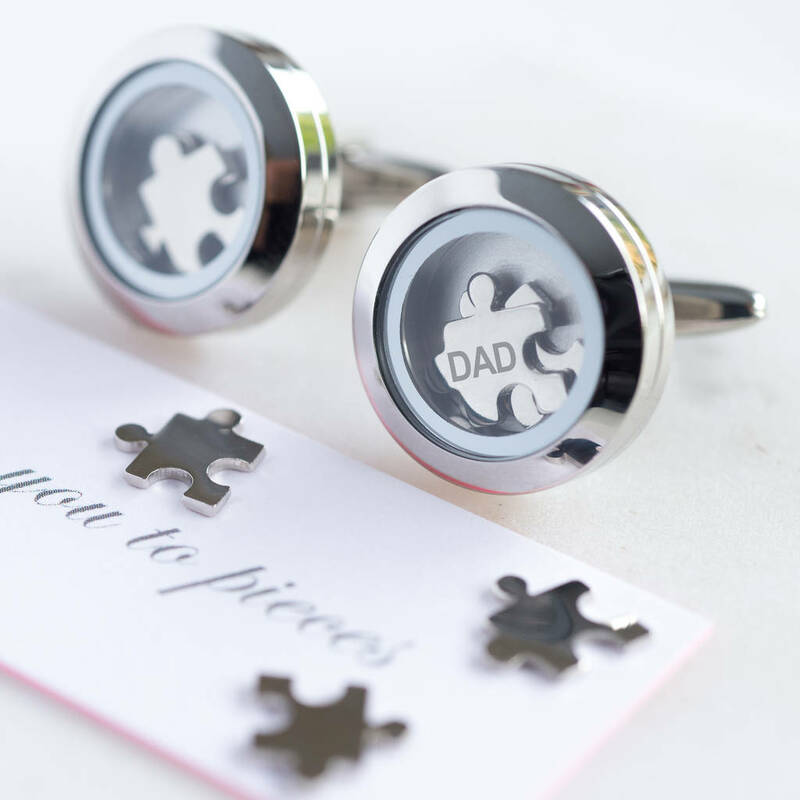 The individual floating stainless steel lockets are filled with raw brass or stainless steel option jigsaw pieces, one single piece in each cufflink expertly personalised and engraved with up to 3 characters of your choice. Inside the gift box is a little card reading 'I love you to pieces'. 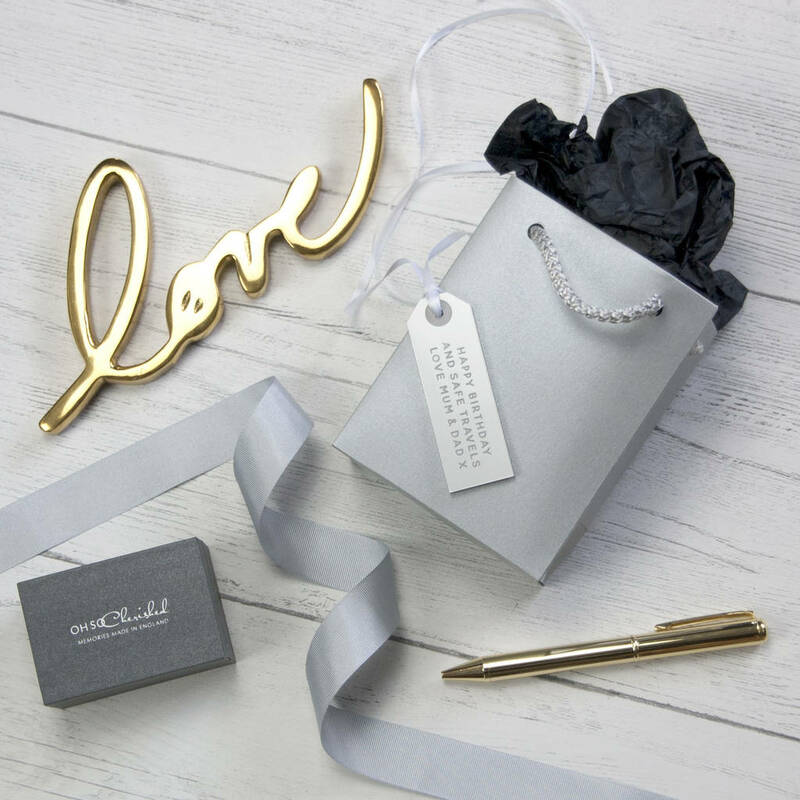 Our cufflinks come in a grey gift box hand tied with grey ribbon. 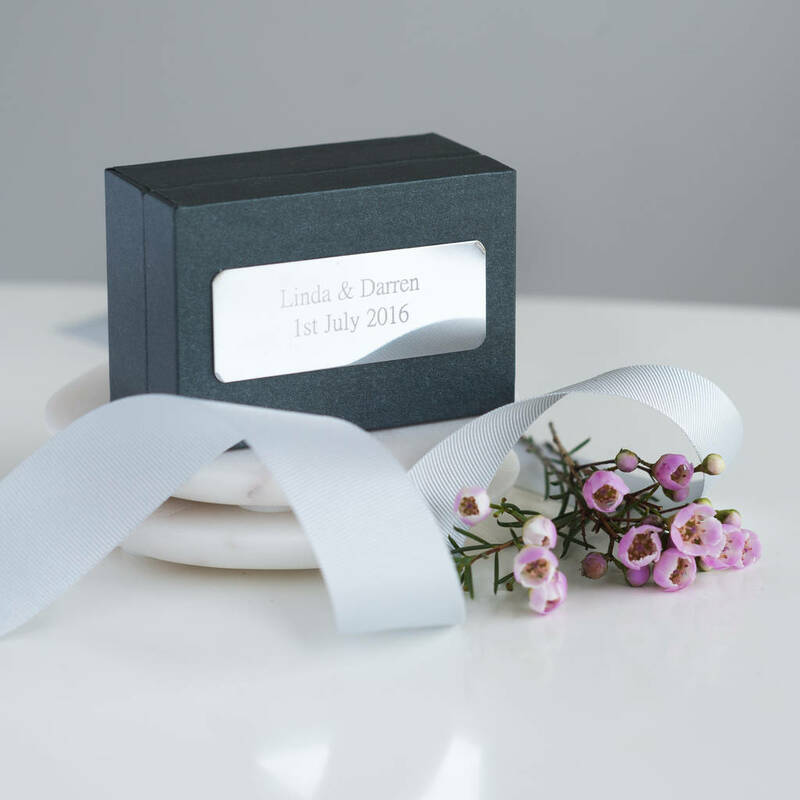 We can also personalise your gift box for that extra special gift, we can engrave up to 3 lines with 25 characters per line on a brass engraved nameplate. Stainless steel, brass, screw closure. 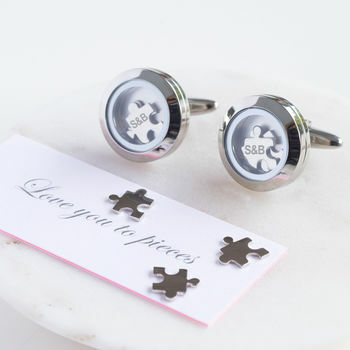 25mm wide lockets, Puzzle pieces 1cm dia.